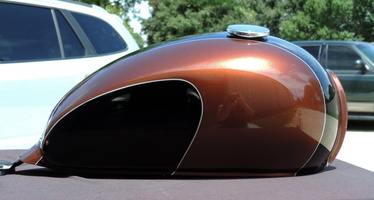 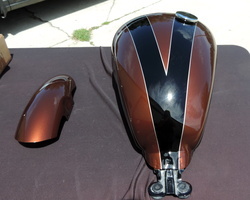 painted the tank, side covers and a modified front fender. 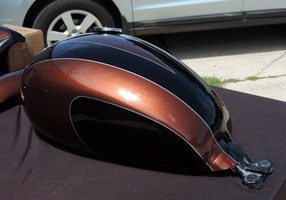 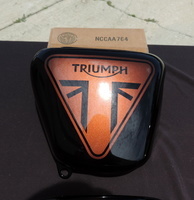 The colors are a bronze with a black stripe and silver outline. 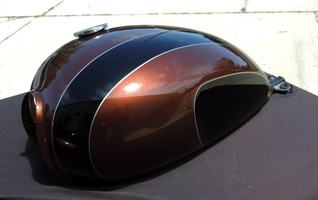 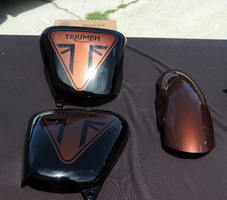 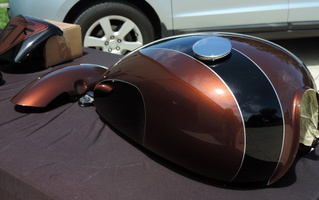 Also sprayed on the Triumph logo on the side covers. 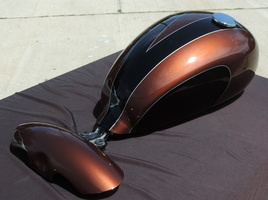 We cut a long front fender down to the size in the pics.